Guardian Centers possesses the knowledge and expertise to train on the skills of handling, measuring, and mitigating CBRNE threats and with a fully secured Metroplex clients are able to exercise these skills in a realistic environment with real world materials. Guardian Centers' experienced staff along with purpose built dynamic training venues provide the best technical rescue training and exercise available. 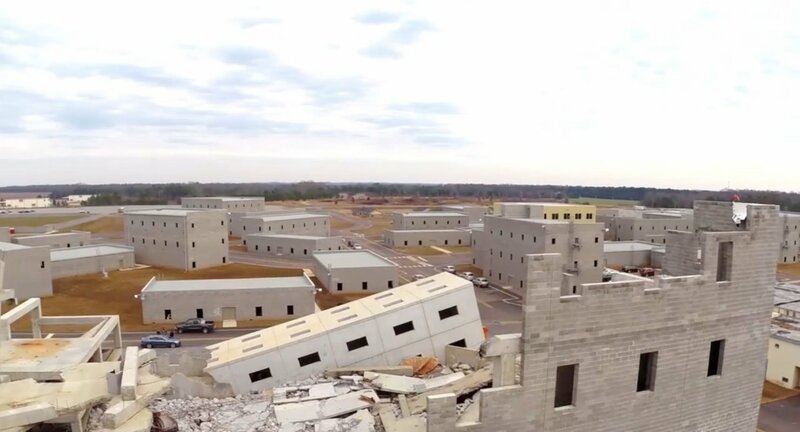 Guardian Centers advanced training, exercise and validation campus is the host for conventional and special operation forces within the U.S. DoD. Guardian Centers provides advanced CBRNE training, exercise, and evaluation programs for the Defense Support of Civil Authorities (DSCA) mission. Guardian Centers provides experienced staff and immersive training facilities for training and exercise of medical rescue techniques through all phases of response. Guardian Centers provides training and immersive facilities for counter-terrorism, marksmanship, breaching, and CQB operations. The Joint Operations Center provides an integrated command system that is connected to the training area. 2-block residential neighborhood flood zone, and 12.5M gallon containment reservoir for conducting water sampling in a contaminated flood environment. Concrete and Steel Collapsed Structures that feature multi-angle breaching points, live role player rescue tunnels, dynamic flooring, and special effects including water, smoke, fire, and electric spark. Full city-block of steel structural collapse. Flame, smoke, spark, and olfactory simulation. Over 16 city blocks, Over 80 - 1 to 3 story buildings (hotels, hospital, restaurant, courthouse). Full electrical and water supply. Exercise Operations Center (Embassy/Government building). The Guardian Centers’ Range Complex encompasses multiple ranges to include 50, 100, and 800 meter ranges. Our complex also includes a live fire maneuvering box, 40mm grenade range, and 60ft multi-purpose tower. In addition to large open parking lots, Guardian Centers provides multiple large staging lots within the training area specifically for client use. These can be utilized for equipment reception, storage or staging. The Guardian Centers highway tunnel offers full immersion into a fully enclosed 600 foot linear tunnel. Guardian Centers provides a 1.1 mile four lane highway built to Department of Transportation specifications. Within this highway system lies an Emergency Vehicle Operations Course. Guardian Centers’ subway system is a realistic 1,700ft dual rail subway tunnel that includes eight real world complete subway cars from Washington DC Metro. Fully functional sprinkler systems and smoke. Over 1/4 mile fully-enclosed tunnel. Guardian Centers stands ready and capable of fully supporting any organization and their training requirements. Our knowledgeable and experienced staff have the capability to deliver standardized training and certification along with customized training evolutions to meet specific client requirements. Our staff will present curriculum to elevate and validate, allowing organizations to maximize organic capabilities and experience realistic challenges. Our instructor staff has the capability to deliver almost any type of training in almost any part of the world. With past experience in delivering successful training and exercise evolutions across the nation and in multiple countries, Guardian Centers is ready to meet your objectives when and where they are needed. 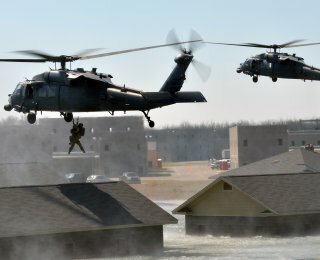 Beginning in 2008, Guardian Centers has earned a respected reputation in research, design and development of advanced venues for training and exercises. Guardian Centers has the capability to assist in the full range of development projects. Guardian Centers provides custom services that include complete exercise design and planning, training and certification, and full service logistics support at its state of the art flagship training campus in Perry, Georgia or at any client location throughout the world. Guardian Centers demonstrates exceptional performance and results delivering specialized training courses and practical exercises for special skills certification and professional services training. 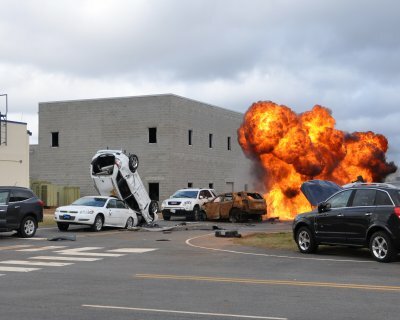 We are a total solutions company testing, evaluating and validating skills through training and exercise in dynamic and immersive urban terrain replicating the most realistic natural and manmade disasters.